We are the manufacturer and exporter of Dyed Bag. These are medium sized tote bags with long handles. Colorful print on a solid black background makes these bags highly attractive. We make these bags available in standard dimensions. High-quality colors and fabric has been utilized in the manufacture of these bags. These bags are suitable to be teamed up with casual outfits. We have priced these bags competitively. 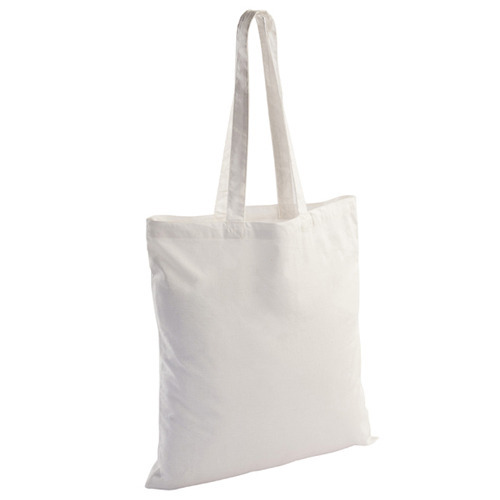 We, Green Packaging Industries Private Limited, established our presence as manufacturers, suppliers, and exporters of a wide gamut of cotton and canvas bags. We have gained prominence in the industry by offering premium quality products. Our products are highly appreciated for their unique designs, style quotient, and longevity. Our range is inclusive of Canvas Bags, Canvas Promotional Bags, and Cotton Bags. Since our inception, our aim has been to create trendsetting products that are unsurpassable in every possible way. We make this possible by applying innovation and creativity to the maximum possible extent. We have a state of the art infrastructure that enables us to carry out our operations smoothly. Our infrastructure is equipped with all the requisite machinery and amenities that enable a sound work environment. Our team of expert professionals is driven to push itself in order to deliver the best possible performance. We engage ourselves in ethical business dealings only and are considered highly trustworthy by our customers. "We export our products to UK, USA, Australia and Germany".